CHOTOKU KYAN was born in Shuri, Okinawa in December 1870 and was the first son of Chofu Kyan. Chofu Kyan had been a descendant of the fourth Ryukyuan king, Shoshi. Kyan (also sometimes pronounced Kiyuabu) was born a frail child, but through his martial arts training he developed into a strong adult and his health improved much. He had begun his training in karate-do at the age of five years old. Kyan was known in Okinawa as ‘Chan mig-wa’ or ’small-eyed Kyan’, and was known by this nickname because his eyes were small and weak. Despite this handicap, he went on to become a great master. In fact, he was one of the most knowledgeable masters of his time, as he studied both the Shuri-te and the Tomari-te styles of karate. He studied Shuri-te from Sokon Matsumura and Anko Itosu and studied Tomari-te from Oyadomari Pechin, Maeda Pechin and Kosaku Matsumora. Kyan’s teaching combined the elements of both of these styles of karate, with his students originally calling his system ‘migwa-te’, but later it became known as ‘Sukunaihayashi-ryu’. Kyan enjoyed traveling a good deal. During his martial arts career he journeyed to Taiwan, where he brought back the kata Ananku to Okinawa. He also visited one of Okinawa’s off-lying islands and learned Tokumine no Kun (bo kata) there. Tokumine Pechin had been a lord in Okinawan, but had been banished to the Yaeyama Islands after having being involved in a fight with 30 constables in the red-light district. Chotoku Kyan lived in Shuri until he was about thirty years old and then he moved to Kadena, where he opened his own dojo. He lived in the village of Yomitan, where a karate man called Yara taught him the Kusanku kata. In addition to Kusanku kata (which became his favorite), he learned other kata; from Sokon Matsumura he learned Naihanchi and Gojushiho, from Kosaku Matsumura he learned Seisan, Oyadomari taught him Passai and Maeda Pechin taught him Wanshu. Kyan later developed his own versions of the katas Chinto and Passai, and he even learned tree fighting which is linked to the Okinawan monkey dance ’saru mari’. Because of his reputation, Kyan was often challenged. It is alleged that he fought many actual fights but was never defeated. Kyan was highly adept at body shifting. Since he was a small man, he used this type of body movement (known as tai sabaki) to defeat his opponent. His technique was to never back up, but rather to move forward rapidly and strike, or block and counter attack immediately. Two of Chotoku Kyan’s top students were Ankichi Arakaki and Shimabuku and it is said that they accompanied their teacher almost everywhere and were inseparable from him. Kyan enjoyed rooster fighting very much, in fact he often entered his own roosters in these fights. One anecdote reveals something of Kyan’s abilities as a martial artist, by telling that on this particular occasion he attended one of these rooster fights and had his own rooster in a firm grip under his arm. His students, Arakaki and Shimabuku, decided to test their masters skill and started a fight with a couple of the local men. Once the fight got started they left and hide in some nearby bushes. When Kyan came over to see what was happening, and to see where Arakaki and Shimabuku were, the enraged men attacked him. Kyan is said to have fought with the men and defeated them all. What was so unique about this occasion was that during the entire fight, Kyan had kept a firm hold on his rooster – he fought them all with only one hand and his feet. Arakaki and Shimabuku watched the whole fight from their hiding place and were amazed by his skill and composure. Kyan felt strongly about the ancient code of Bushido and felt that every martial artist should follow it totally. He was both a perfectionist and a disciplinarian, in both his own training and also his teaching. He believed that self-discipline and social order and justice went hand in hand. He was also quoted as saying “superior conditioning can only be built on relentless effort. The size of one’s body is irrelevant”. Master Chotoku Kyan died Ishikawa City, Okinawa, on 20th September 1945 – he was 76 years old. 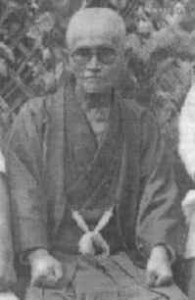 CHOJUN MIYAGI (1888-1953) is the founder of today’s Goju-Ryu karate-do; he was responsible for taking Naha-te and formulating it into a system. Miyagi was Kanryo Higaonna’s most talented and chosen pupil. Miyagi came from a rich family of high esteem, ship-owners who imported -amongst others- medicines from China and supplied these to the royal family, the government and business houses. To prepare him for his future task to lead the family, when only eleven years old Chojun was brought to Ryuko Aragaki (1875-1961), who on his terms sent him at the age of fourteen to Kanryo Higaonna. Here Chojun Miyagi, together with Juhatsu Kyoda (1887-1967), was tutored thoroughly in Higaonna’s Naha-te. After the death of Higaonna the well-off Miyagi, who occupied himself full-time with the study of martial arts, planned a trip to Fuzhou, the Mecca of South-Chinese fighting arts (Nan Quan), to visit the birthplace of Kanryo Higaonna’s Naha-te and to pay his respects to Ryu Ryu Ko’s grave. For two months Chojun Miyagi together with Aisho Nakamoto (1881-1945) stayed in Fuzhou to train and they also visited the Julianshan Fujian Shaolin Temple. Back on Okinawa he became friends with two tea-merchants from Fuzhou Wu Xianhui (Jap. Go Kenki) and Tang Daiji (Jap. To Daiki, both of them where famous martial arts teachers. 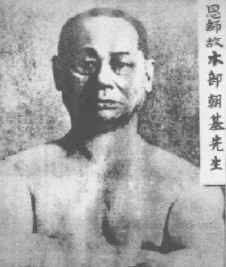 Wu Xianhui (1886-1940) came to Naha in 1912 to teach White Crane boxing and made friends with amongst others Juhatsu Kiyoda, Chojun Miyagi and Kenwa Mabuni (1889-1952). Together with Wu Xianhui, Chojun Miyagi left to visit Fuzhou again at the end of the twenties. Apart from Wu Xianhui who emigrated from Fuzhou to Naha in 1912, Miyagi had as already stated a good relationship with Tang Daiji (1887-1937) a Tiger Boxing (Hu Quan) master who also emigrated from Fuzhou to Naha. Introduced by Wu Xianshui, Miyagi met in February 1936 in Shanghai the famous Monk Fist (Luohan Quan) master Miao Xing (1881-1939). 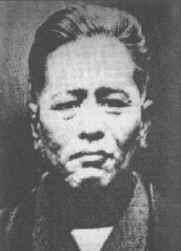 Miyagi is said to have trained for some time diligently with Miao Xing and other Chinese masters associated with the Jingwu Athletic Association. He also visited the national martial arts championships. Miyagi dedicated his whole life to the development of what was called ‘toudijutsu’ (China hand art) or simply ‘te’ on Okinawa. In 1921 crown-prince Hirohito visited Okinawa before traveling to Europe. Due to his visit Shuri-te as well as Naha-te (by Chojun Miyagi) was demonstrated. In 1925 Miyagi demonstrated for prince Chichibu-Nomiya and shortly after, in 1926, he founded the Okinawa Karate Kenkyu-Kai (Okinawa Karate Research Club) together with Chomo Hanashiro (Shuri-te), Choyu Motobu (Tomari-te) and Kenwa Mabuni. One year later, Chojun Miyagi demonstrated to Jigoro Kano, grappling, locking and throwing techniques and the correct use of breathing. Kano was very impressed by this toudijutsu and introduced Miyagi, accompanied by his friend Mabuni in Japan. At the end of the twenties and the beginning of the thirties, Miyagi, together with his -at that time- top student Jinan Shinzato (1901-1945), gave seminars and demonstrations at Japanese universities, Budo-tournaments and at the crowning festivities of crown-prince Hirohito. In 1933 Chojun Miyagi registered ‘toudi’ officially as Goju-Ryu at the Japanese regulating Budo-institution, the prestigious Dai Nippon Butokukai, the All Japan Martial Arts Association. Later on Miyagi was distinguished by the Ministry of Physical Education, receiving the highest honour of the Dai Nippon Butokukai and was appointed representative of the Butokukai department for Okinawa. Thus Goju-Ryu karate-do -the name derived from the Bubishi- was the first and eldest karate-tradition recognized by the Dai Nippon Butokukai; its founder, Chojun Miyagi, acquired an outstanding position in karate-do. May 1934, Chojun Miyagi traveled on invitation to Hawaii where he taught and gave demonstrations until February 1935. His teachings for that matter were referred to as kempo karate. On the 25th of October 1936 the most outstanding Okinawa-masters (Chomo Hanashiro , Chotoku Kyan, Choki Motobu, Chosin Chibana, Juhatsu Kiyoda and Chojun Miyagi) assembled and changed the name toudijutsu into karate-do. TAIRA SHINKEN was born Maezato Shinken on the 12th June 1897, in the village of Nakazato’on the island of Kumejima. Officially recorded as Maezato Shinken, he often used his mother’s maiden name ‘Taira’. He graduated from Nakazato Elementary school and later worked at a mine in Minami Jima. It was during his days working in the mine that Taira Shinken life was dramatically changed. During one of his shifts he was caught in a cave-in and buried alive. Although badly wounded he managed to dig his way to safety. He returned to Kumejima after the accident to rest and recuperate. Because of the accident he was left with a limp which he was to carry for the rest of his life. When he recovered he continued to work as a miner, but his co-workers were merciless in there taunts to him because of the injury to his right leg. At first he felt embarrassed and ashamed, but resolved to make himself stronger and decided that Bujutsu was the best means to attain his goal. At 25 he left his work and traveled to Japan intent on studying Judo. Whilst in Tokyo he had a chance meeting with Funakoshi Gichin who, at that time, was working towards popularizing karate on the Japanese mainland. Taira was so impressed with what Funakoshi said to him, he reconsidered his plans of studying Judo. He entered Funakoshi’s dojo as a live-in student in 1922 and studied there for the next eight years, becoming his assistant instructor and one of his closest students. Taira’s interest in Budo did not stop at karate, in 1929, with Funakoshi’s recommendation, he entered Yabiku Moden’s dojo to study Ryukyu Kobudo. Mabiku like his colleague Funakosi, was also working to promote karate as well as kobudo in Japan.During his study under Mabiku, Taira mastered the use of such weapons as the Bo, Sai, Tuifa, Nunchaku, and Eku. After completing his training in 1932, he was granted permission to open a dojo, where he taught karate and kobudo. In 1933 he received his formal teaching license in Ryukyu Kobudo from Yabiku Sensei. In 1934,Taira Shinken invited Mabuni Kenwa,an acquaintance of Funakoshi, from Osaka to receive instruction in Karate and Kobudo. He graciously accepted the invitation and taught Taira until his return to Okinawa in 1940. During those six years, Taira housed and paid Mabuni for his instruction. Taira expanded his knowledge of Kata and techniques of the Bo and Sai under the close scrutiny of Mabuni Sensei. Whilst teaching in Gunma Prefecture, Taira began to experiment with the idea of full contact weapon sparring. The armor he was trying to develop has to be flexible and strong, so as not to hinder any movement, but also be able to resist the strike of a Bo. He also developed an over size striking post for the Bo, to help improve the accuracy and build power. Taira’s early attempts at developing full contact weapon sparring was later abandoned possibly to a shortage of material due to Japans increasing involvement in WW2. After Taira’s death his most senior student Akamine Eisuke continued Taira’s early attempts. It was during his time teaching in Gunma Prefecture that Taira allegedly developed the Mariji sai and ifs accompanying kata. The mariji sai has had a long history in China and Okinawa, and Taira’s inspiration for the weapon apparently came after visiting a Buddhist temple to pray for success of his newly opened dojo. It was there that he saw a large manji which in Taira’s eyes resembled a Kobudo weapon. Almost straight away Taira was inspired as how to create a weapon from its shape. After he returned to his dojo, he formulated his ideas for the construction of the mariji sai and the kata Jigan no sai. The kata takes advantage of the manji sai, unique shape and employs many double handed thrusting techniques. The kanji that Taira selected for his new kata, can be translated as the foundation of love/compassion .This maybe due to the source of his inspiration; a Buddhist symbol. In 1940 he returned to Okinawa and after the death of Yabiku Sensei in 1941, established the Ryukyu Kobudo Hozon Shinko-Kai, the association for the promotion and preservation of Ryukyu Kobudo in Naha. It is based on the organization of Yabiku Sensei’s Ryukyu Kobujutsu Kenkyu Kai. Taira’s Hozon Shinkokai included instruction in the use of nine different weapons and their respective kata’s that he had learned during his years of instruction or those that he had created himself. He continued to make visits to the Kansai and Kanto areas to teach and promote Kobudo in Japan. In the early 1960’s he published the first book on Ryukyu Kobudo in Japanese entitled “Ryukyu Kobudo Taiken” which helped greatly to popularize the art in Okinawa. Later in the 1960’s he formalized and strengthened his association by appointing his students to different positions in the Shinko Kai and established testing and licensing standards for his students. In 1963, to further the growth of Karate and Kobudo at an international level. the Kokusai Karate-do Kobudo Renmei was formed with Higa Seiko as the chairman and Taira Shinken as the vice chairman. In 1964 he was recognized as a master teacher of Kobudo by the All Japan Kobudo Federation and awarded his Hanshi certification. After Taira Shinken’s death, Akamine Eisuke, took over the position as chairman of the Ryukyu Hozon Shinko Kai. 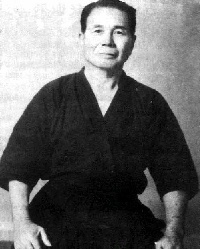 In an attempt to expand Ryukyu Kobudo, Akamine Sensie opened his own dojo in 1971, naming it the Shinbu Kan. This was followed by other students of Taira Shinken opening their own respective dojos. With his mastery of Shorin Ryu and Goju Ryu complete, Shimabuku next sought out the Kobu-Jutsu (study of weapons) Weapons Master, Taira Shinken (1902-1970). At the time, he was the world’s greatest expert in the bo and sai. Master Shimabuku believed strongly in the learning of weapons, feeling a karate system without weaponry was incomplete. He saw the continuation of weapons training as a way of preserving an important part of Okinawan culture and the Samurai fighting spirit. He also felt weapons offered the practitioner a new challenge once he mastered empty hand karate techniques. Ancient weapons are also effective self-defense instruments that can be used during any time period not matter how sophisticated our culture becomes. Master Shimabuku had a great personal love for weaponry and practiced perfecting the Bo and Sai every day of his life. From Master Shinken, Shimabuku learned the following weapons katas, and like the hand and foot katas of Shorin Ryu and Goju Ryu, later refined and modified them into his Isshin Ryu system. They are: Bo 1, named Tokumine-No-Kun, name means, of the Tokumine family who first developed this kata. Bo 2, named Urashi, Urashi is the name of the village where this Kata originated. Bo 3, named Shishi-No-Kun-No-Dai, means instructor of the big bo because this Kata is the longest Isshin Ryu Bo form. Shimabuku first taught this kata in 1967, after almost 20 years of perfecting it. Sai 1, named Kusanku Sai, means night fighting with Sai. Sai 2, named Chatanyara-No-Sai, name derived from the Chantan village where the Yara family developed it. Bo-Bo Kumite, this form is two Bo practitioners fighting against each other in a set pattern that has ten important techniques inside. Bo-Sai Kumite, similar to Bo-Bo except a Sai is used to fight a Bo attacker. It also contains an important set of ten prearranged movements. CHOKI MOTOBU - In Japan there is a phrase, Jissen, which is used to distinguish real martial arts from what has been referred to as ‘garden party’ Karate. Jissen literally means real fighting. It is many times used in conjunction with Karate to establish the difference between combat effective martial arts and what might best be called tournament Karate. Jissen Karate is many times attributed to Choki Motobu, who was considered by many the greatest Karate master to have ever lived. During his whole life he is known only to have been beaten in combat by two individuals, one being Kentsu Yabu, a veteran of the Pacific War (World War II). It is believed that it was his war time combat experience that allowed Yabu to defeat Motobu. The other was his brother, Choyu Motobu, who had been trained in the family art of Gotente, and had the advantage of superior training. After the incident, however, Choki became a devoted student of his older brother’s art. It is also known that at one time he and a friend were attacked by a gang of twenty five and in his desire to protect his untrained friend, Choki Motobu dived into battle against all twenty five, and after hurting and knocking down many of the number, the others ran rather than face the fighting fury of this great martial artist. In his youth Choki Motobu, having been born in an aristocratic family, was constantly getting in trouble, and fights, more from the expectation of being treated with respect, that was not forthcoming, than from any inherent meanness. There are those who say that Choki was crazy, mean spirited, and a belligerent fighter, and yet among those who knew him well, he was a refined gentleman, with good manners, and a quiet but humorous nature. Yasuhiro Konishi, Choki Motobu’s main interpreter on Japan, said that those who ran afoul of the man usually did so because they started to treat him with disrespect, acting like he was a country bumpkin from Okinawa. While Konishi said that Motobu was basically a man of peace, who had to live down the reputation of his wildness in youth, he was not one to suffer insult well and this lead to many confrontations, in which the wise apologized and sought recompense, and the foolish ended up knocked out or demonstratively beaten. The Jissen Kempo of Choki Motobu could be thought of to consist of certain concepts which constitute the nature of real combat. First of all, real fighting martial arts, are to be only used when your life is on the line. It is to be used to defend yourself or another, from serious injury or death. Thus the basic attitude is one of don’t fight if it is not necessary. It is said that it took Choki Motobu a long time to realize this principle, but that once he did, he held to it quite well. The main two reason not to fight frivolously are simply, you may hurt your opponent and two you may get hurt yourself. It is said that after his battle with the European boxer, the man was placed on board a ship to be sent home, but died before he made it there. And in his battle with Kentsu Yabu, both men were banged up badly after the fight. It may have been these two events which turned Motobu away from fighting and towards a more peaceful lifestyle. In comparison, Shiai Karate, or contest martial arts, develops a ‘be aggressive’ attitude, which may be fine in regard to a sporting match, but can be dangerous on the street. The idea of contest martial arts is to win and not lose. It is to score points without allowing the other person to score as many. All sports, including the most rugged of contests, have to have limited techniques. In actual combat, self defense, the eyes, throat, and groin, are the most targeted points. Yet in contests, in order for the competitors to survive and have a certain level of safety, these are off limits, with the exception of the groin. But even the groin is not targeted as in a self defense situation. In contests, cups are worn, and while strikes may be allowed, in actual self defense, women have reported the most effective groin technique, is to grab the testicles and squeeze until the assailant is unconscious or helpless. There are three styles that reportedly were created by Choki Motobu and in some cases are suppose to have been passed on to certain individuals. According to Robert Trias, Choki Motobu created the Shorei Ryu style and this was passed on to him through a Chinese master after World War II. Trias modified the system by adding certain Goju Ryu Kata to the curriculum, thus creating his own style of Shorei Goju Ryu Karate. Shuri Ryu was also attributed to Choki Motobu by Yasuhiro Konishi who eventually passed the system on to Robert Trias, as the man most preserving Motobu’s art. In Japan itself, the late Tatsuo Yamada called Choki Motobu’s system Motobu Ryu in his teachings of Karate history. In Okinawa the term Motobu Ryu is applied to the family art of Gotente which was passed to Seikichi Uehara. Thus in discussing Motobu Ryu it is important to know whether the term is used in the Japanese manner referring to Choki Motobu’s art, or in the Okinawan manner referring to Choyu Motobu’s art. There is a great deal of difference, with the main one being that Choyu Motobu’s art is taught in the most ancient manner without prearranged Kata. Choki Motobu taught many students during his long lifetime of seventy three years. Among his students were; James Masayoshi Mitose, Yasuhiro Konishi, Tatsuo Yamada, Shoshin Nagamine, Shinsuke Kaneshima, Yukimori Kuniba, Shinyei Kaneshima, Katsuya Miyahira, Chozo Nakama, Tsuyoshi Chitose, Tatsuo Shimabuku. Eizo Shimabuku, and Shigeru Nakamura. Among the many styles which are directly influenced by what Choki Motobu taught, especially in regard to Kihon Kumite and an intelligent application of techniques in Jissen, real fighting, are; Shorei Goju Ryu, Shuri Ryu, (Koga Ha) Kosho Shorei Ryu, Yamada Ryu, Isshin Ryu, Tozan Ryu, Shobayashi Shorin Ryu, Matsubayashi Shorin Ryu, Kobayashi Shorin Ryu, Chito Ryu, Nakamura’s Okinawan Kempo, Ishimine Ryu, Shinto Shizen Ryu, Motobu Ha Shito Ryu, and Kenshinkan Ryu. Then are many modern systems which have been derived from these previously mentioned ones which owe much of the reality of their training, and the practice of Kumite, to Choki Motobu. Shoshin Nagamine admits that in his training he teaches his students the skills of Kumite as taught to him by Choki Motobu. Motobu taught that distancing was the most important factor to delivering a punch, Seiken Zuki, with fatal force. He explained that too far away, and not enough power would be in the technique at contact, but to be too close will keep the technique from developing full power. Thus it was important to master distancing. And for those situations where one was too close it was important to be able to strike properly with Uraken and Ippon Ken Zuki. In the Kumite of Shodai Soke Shoshin Nagamine’s Matsubayashi Shorin Ryu are the lessons and skills as taught by Choki Motobu.